Wayne Shaw encourages directors to ask “dumb questions” when it comes to reviewing the financials of any company. The Helmut Sohmen Distinguished Professor of Corporate Governance at Southern Methodist University notes that it is sometimes the question that wasn’t asked that gives directors insight into assessing the integrity of the firm’s financials. His presentation was part of the NACD Director Professionalism training in Houston May 4-6. Directors should ask internal auditors if they have any concerns with accounting or reporting issues. 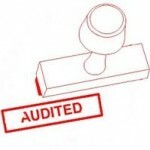 In following up with the external auditors, directors should ask how the company differs from others in the industry? What weaknesses did they find? How aggressive is the company’s accouting policies relative to the competition? And, is management responsive to the issues they raise? Shaw cited chapter and verse of well known companies whose directors didn’t ask the basic questions. Asking some obvious questions would have saved millions of dollars of shareholders’ investment and sometimes the company itself.